The Carriage House Museum, with a half loft and a full basement, was built to reflect a utility building of the early 1900’s, the era of the Bartlett House Museum. The facility provides exhibit, storage, office, and research space for our major collections. It is located at the rear (west side) of the Bartlett House Museum. 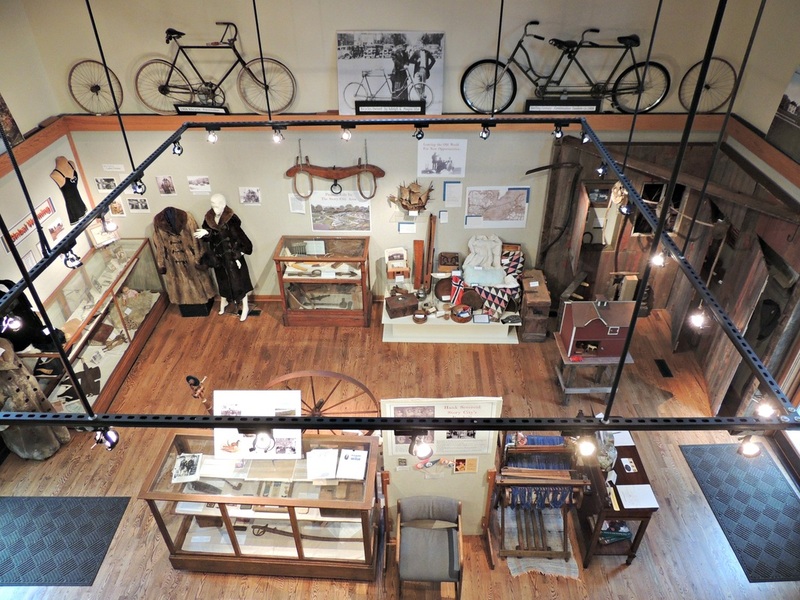 Interior view from the loft showing a variety of exhibits on display. Including pioneer life, a barn exhibit, and Story City's involvement in the Civil War. 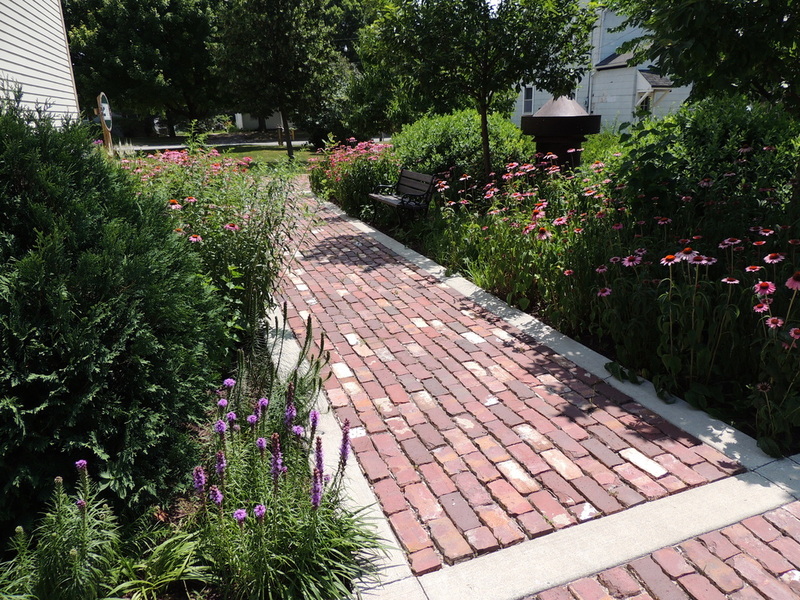 This garden, located on the south side of the Carriage House Museum, blooms with native prairie plants. Blue Stars bloom early by the west door. Several Blue False Indigo plants bloom in late spring and show beautiful textured foliage the rest of the year. Insects and butterflies enjoy the orange Butterfly Milkweed. Little Blue Stem grasses, Big Sky After Midnight coneflowers and Blazing Stars with purple spikes have spread throughout the garden. Creeping Lily Turf has spread nicely around the Seven Sons bushes which bloom in early fall. A couple crab apple trees and the Kentucky Coffee Tree add height and shade to the area. Ann Marie Kern and Katherine and Richard Munsen contributed the landscaping in memory of their son and grandson Mikhail P. Kern, 1982-2007.